Optimum Pest Control always provide our customers with a very detailed pest control treatment. We only use top quality products and have a high level of expertise. As a result, we are able to give you a 12-MONTH SERVICE WARRANTY for our residential pest control treatments for cockroaches, ants, silverfish and spiders! What we do is quite different to most other pest control companies... CLICK HERE to find out more! Spiders nest and breed in the roof void and wall cavities of our homes. They hang around under the eaves, around window sills, downpipes, anywhere they can set up their webs. Redback spiders are a particular problem in South East Queensland & Northern NSW. Their bite can cause a nasty reaction particularly in young children and the elderly. Exterior spider spraying, weephole dusting and a full crack and crevice treatment will eradicate spiders. How do I get rid of spiders in my home? 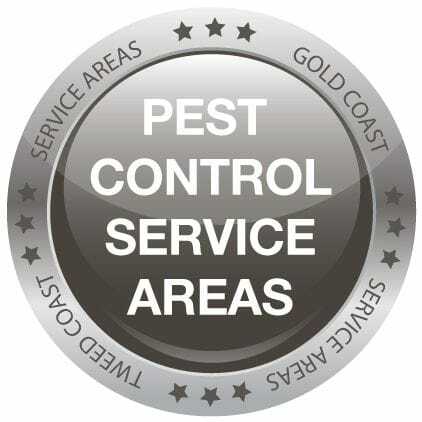 Contact the experts at Optimum Pest Control today on (07) 5520 7171, specialising in Gold Coast* pest control through to Tweed Heads*. We use a big heavy-duty dusting machine to pump a large amount of powder into the external WEEP HOLES, all through the wall cavities. We also use that big dusting machine in the ROOF CAVITY - the dust spreads through those areas eradicating cockroaches, ants, silverfish and spiders. This is a BIG part of our treatment because it eliminates pests in these areas, AND stops them crawling back inside and nesting in the walls and roof! OUTSIDE we do a spider and ant spray around the eaves, gutters & downpipes, and around the garden areas for ants and spiders - including REDBACK spiders). INSIDE we do a treatment to all kitchen, laundry & bathroom cupboards particularly for cockroaches that love these warm damp areas. We treat behind white goods and drawer runners and cupboards - it's NOT messy and doesn't get on all your things. There is practically no smell - thankfully we are not allowed to use those horrible chemicals they used years ago! THEN, once we've done all THAT we can give you a 12 month service warranty! Outside webbing spiders may come back from time to time as they are blown in on the wind, come from the trees etc. If they become a problem for you again (during the 12-month warranty period) let us know and we will re-treat the external areas of your home. EASY! Our domestic treatments carry the OPTIMUM 12-month service warranty on webbing spiders on the outside of your property. 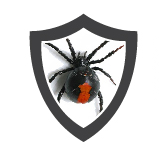 CLICK HERE to download our free information sheet on Spider treatments. Have you ever wanted to know how these treatments work? It's a GREAT 12 month service warranty - and WE DO come back FREE OF CHARGE to fix any of these warranty issues, over the WHOLE YEAR! WE REALLY CARE about you, your family and your home, or workplace. WE WANT TO MAKE YOUR PLACE A PEST FREE ZONE! Karen will explain everything to you - in plain language. We are genuinely interested in what you have to say about what's happening at YOUR place! CALL US TODAY!